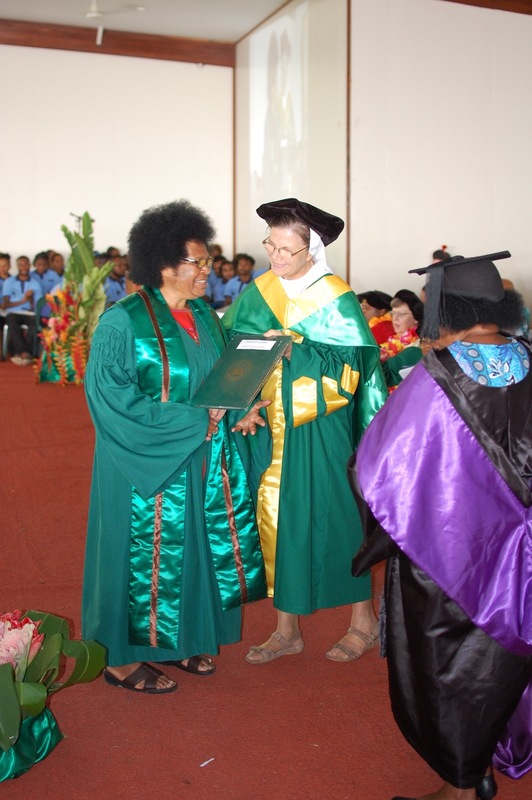 Thirteen sisters, including seven Sisters of Mercy, have graduated with a Diploma in Pastoral Ministry in Papua New Guinea. Kathleen Williams RSM recounts the momentous occasion. 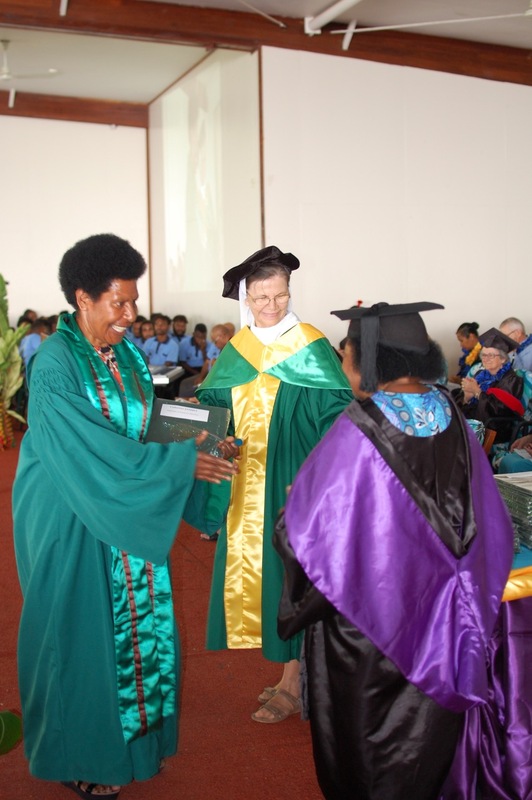 Graduating at the Divine Word University in Madang, PNG. March 10, 2019. What a happy occasion it was! 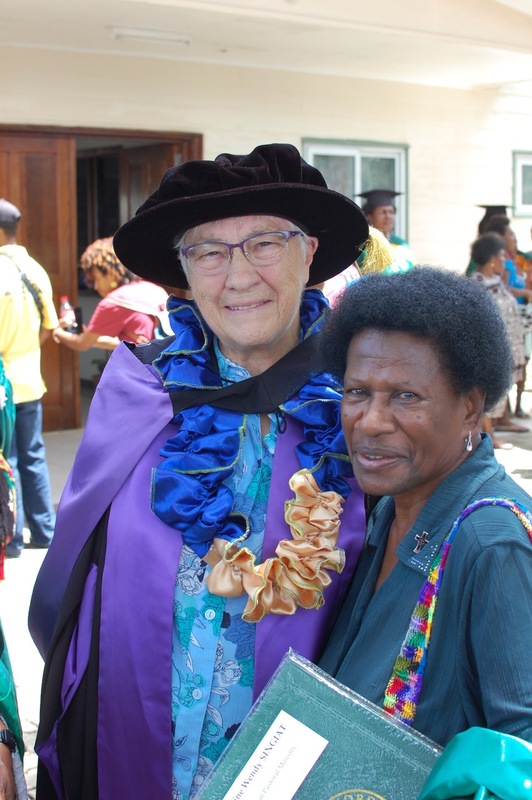 Thirteen Sisters graduated with a Diploma in Pastoral Ministry, seven of them Sisters of Mercy, the other six from five other Religious Congregations. 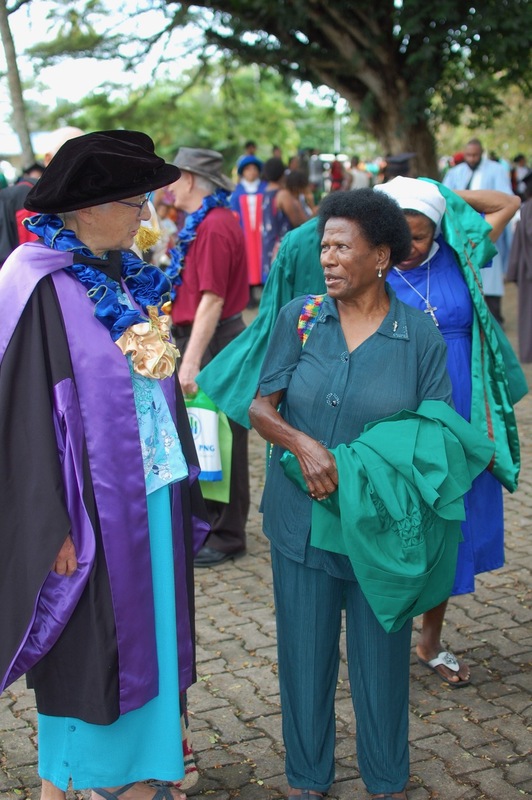 As they were part of 821 students graduating from the DWU, their many green gowns made a splendid display of colour, supplemented by arrangements of the beautiful flowers that grow in such profusion in the university grounds. Colour everywhere! 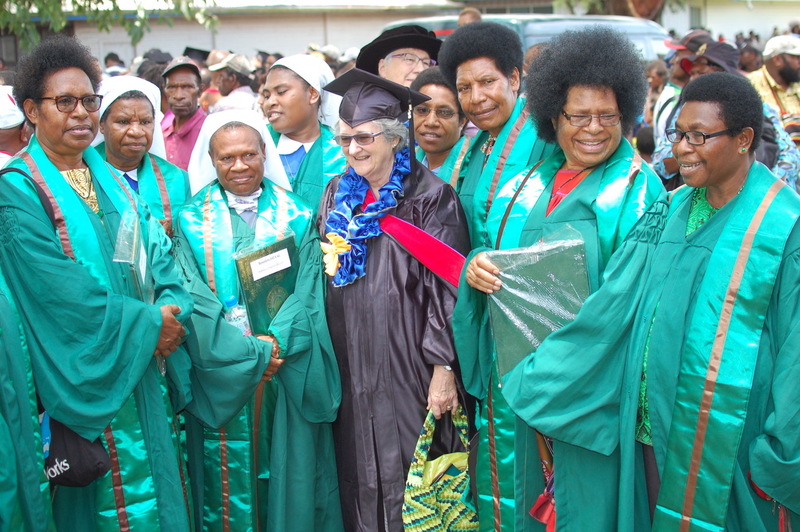 As the group stood to come forward and receive their diplomas, the MC, Father Philip Gibbs svd announced that the DipPastMin was a pioneer program, totally sponsored by the Sisters of Mercy, ISMAPNG; an announcement that received generous and enthusiastic acclamation. 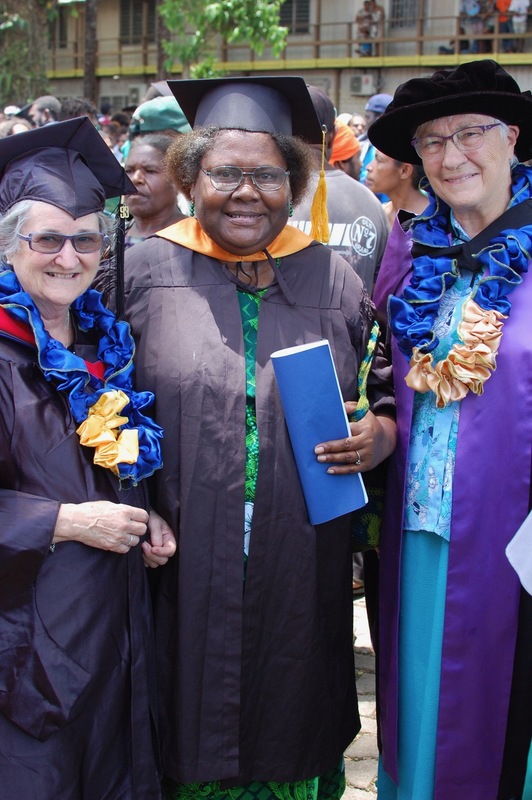 Those of us present – Eveline Crotty RSM, Mrs Elissa Roper, my wonderful assistant, and me (Kathleen Williams RSM) – were named and welcomed during the procession, and the MC welcomed in particular Eveline Crotty RSM, as the Institute Leader of ISMAPNG. Many photos were taken before, during and after the four and a half hour ceremony, and the ones attached here convey something of the joy of the day. The Sisters graduating were very conscious and proud of being the first group to do so in this program. 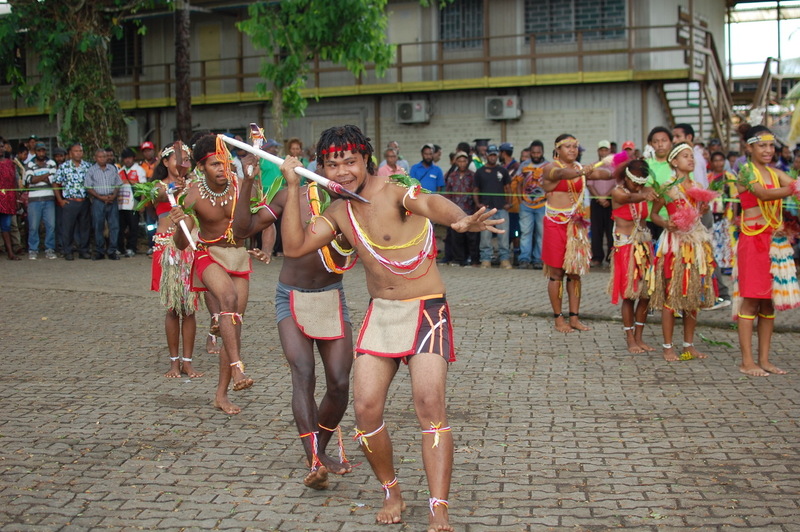 Click here to see a presentation of the days events. After the ceremony we found a cool spot and sat round for another hour and a half to exchange gifts and to talk. 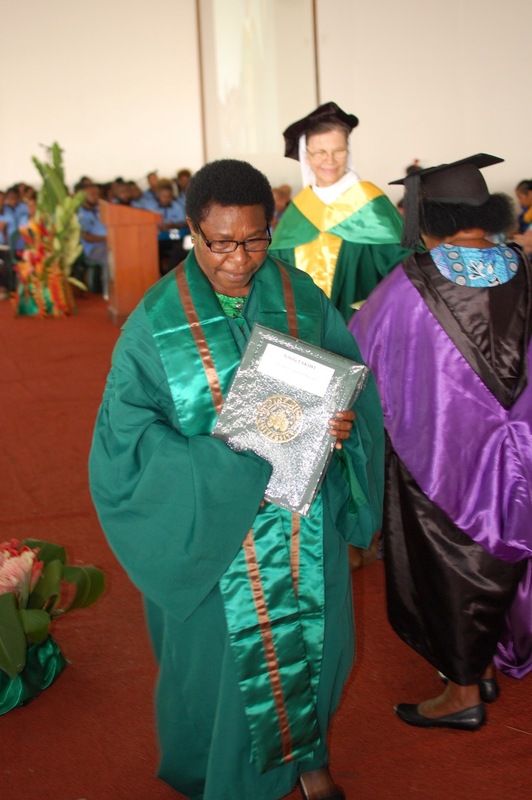 It was very moving to hear how deeply grateful the Sisters are for the opportunity they have had to study theology. 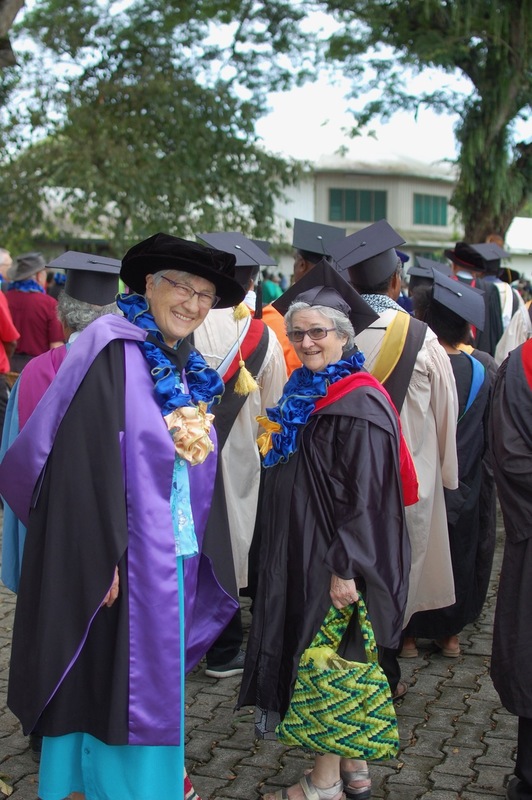 They talked about feeling grateful that what they had learned had given them a richer understanding of their faith, and most importantly to them, it had helped them to be better informed and more confident in their ministries. Who could ask for more? Having just graduated with their diploma, they were really keen to know when the advanced diploma would begin, and agreed, reluctantly, that they could wait until 2020! It was good to be there.